The speakers discussed the opportunities and challenges Liberia faces today in terms of justice and accountability for the grave crimes committed during the country’s civil wars (1996-2003). The young artists were tasked with illustrating interpretations of key quotes from speakers while also expressing their own opinions through drawings. 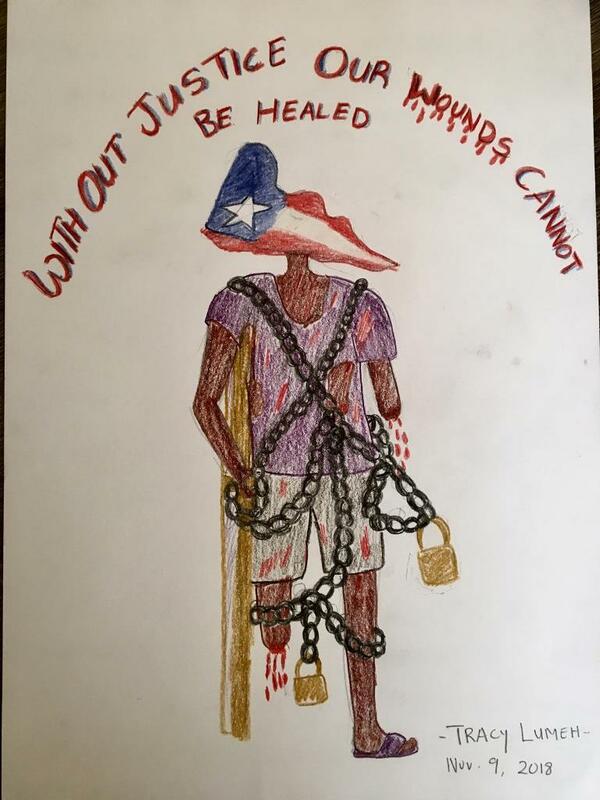 “The way that these students combine art and justice is an inspiring example of bridging the generation gap of memories of the Liberian Civil Wars,” said Nathaly Leduc from Civitas Maxima. Their drawings were inspired by panelists that also included Liberia’s Country Representative of the OHCHR Dr. Uchenna Emalonye, former U.S. Ambassador Stephen Rapp, Human Rights Watch’s Elise Keppler, and Hassan Bility director of the Global Justice and Research Project (GJRP). “To move Liberia to a true national healing, enduring reconciliation and sustainable peace, more needs to be done by the government, its partners, including civil society organizations to ensure accountability,” said Dr. Uchenna Emalonye, Liberia’s Country Representative of the OHCHR. “What we see in these drawings is a perfect depiction of what took place in this country. Ignoring the voices of the youth in the quest for justice would be limiting the world of possibilities of the Liberia that we can create together,” added Leslie Lumeh, director of the Liberian Visual Arts Academy. 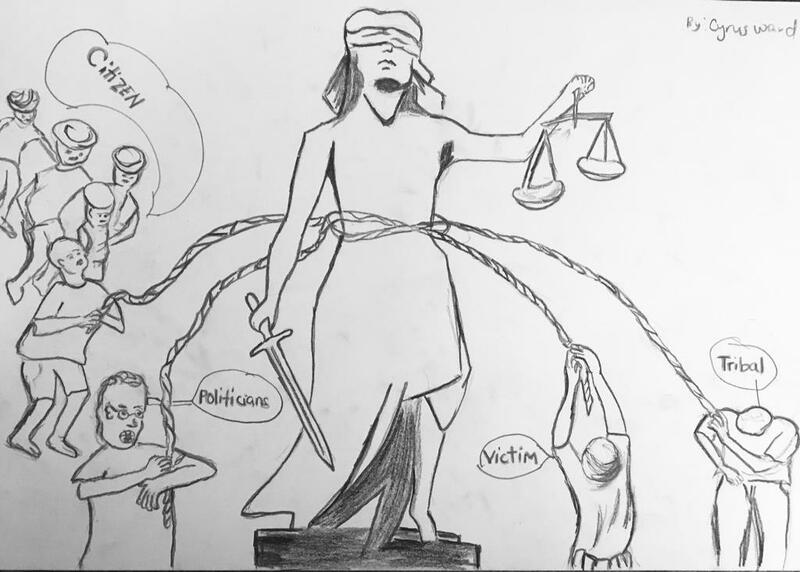 “Voices of the Youth in the Quest for Justice” is an outreach project by Civitas Maxima and the GJRP, in partnership with the Liberian Visual Arts Academy, that seeks to use the arts to enable access to trial information of alleged Liberian war criminals abroad and reach wider audiences. The project also seeks to encourage the youth to engage in informed debate about past crimes. The youth in attendance had previously attended the “Cartooning for Justice Workshop” held in Monrovia this past August. Civitas Maxima and the GJRP have been among the main contributors to the momentum for war crime accountability in Liberia. 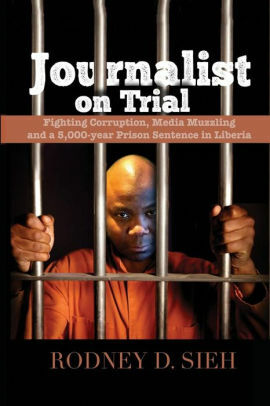 The 2017 trial of Jungle Jabbah is considered one of the major events that pushed forward the justice movement in Liberia; Civitas Maxima together with the GJRP documented and assisted U.S. authorities’ investigations for this case. Both organizations are also involved in several other trials that will be taking place over the upcoming months. “With all these trials abroad, it is crucial that local populations are well informed and that all voices are included,” said Lisa-Marie Rudi from Civitas Maxima.